How Do Snow Removal Contracts Work? 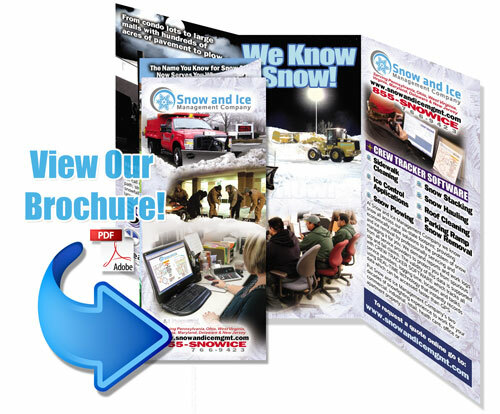 Snow and Ice Management tries to stay flexible to best serve our snow removal contract clients. That's why we provide a variety of snow removal services and contract options. Below are the typical snow removal agreements our clients agree to. We invite you to contact us if you have unique circumstances. Per Push - A Per Push Contract is available for businesses who prefer to pay each time snow and ice is removed, plowed, etc. This option is great for those who are only planning on getting their area plowed, salted and/or shoveled once at a time. Per Event - A Price Per Event Contact is suitable for projected big storms. If it is snowing all day long, snow is going to accumulate all day long. Therefore, that means that there will need to be multiple trips by the snow plows & salt trucks throughout the day to maintain the area. Fixed Seasonal Pricing - A Fixed Seasonal Pricing Contract is available for businesses that want to pay for the entire season. That way, they will not have to worry about payment after each push. Snow and Ice Management will automatically take care of the winter weather for them. To discuss our services and figure out which contract type works best for your business' needs, contact us online or call us at (855) 766-9423.